 Iran, Feb. 1, 2019 - Various cities across the country of Iran are reporting more activities by members of “Resistance Units,” a vast network affiliated directly to the Iranian opposition People's Mojahedin Organization of Iran (PMOI/MEK). In Mashhad, northeast Iran, members of Resistance Unit 815 set fire to the entrance of a base belonging to the Revolutionary Guards (IRGC) Basij paramilitary unit while chanting, “Viva freedom, Hail to Rajavi,” referring to Iranian Resistance leader Massoud Rajavi and opposition President Maryam Rajavi, head of the National Council of Resistance of Iran (NCRI). Members of a resistance unit in Bandar Abbas, southern Iran, set fire to a banner of the IRGC Basij forces while chanting, “Death to Khamenei,” referring to the Iranian regime Supreme Leader Ali Khamenei. In Zahedan, southeast Iran, members of a resistance unit set fire to a Khamenei and Khomeini poster. In Salmas, northwest Iran, members of a resistance unit set fire to a poster of Iranian regime founder Khomeini and Khamenei.